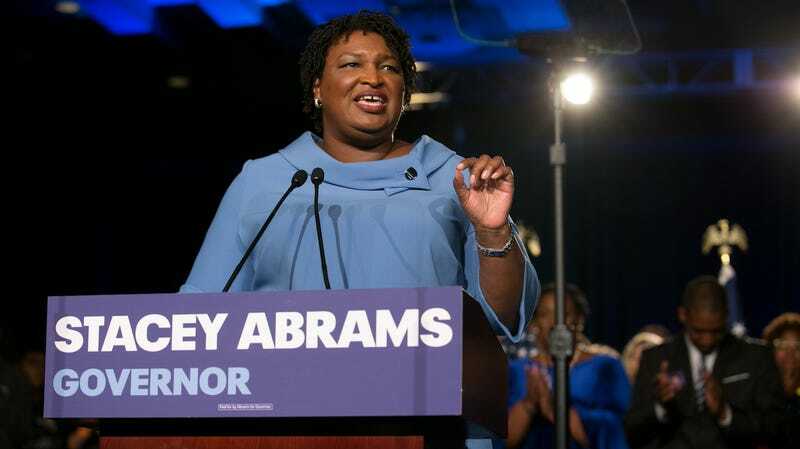 Why Play 'Duck Duck Goose' When You Can Pretend to Be 'President of the World,' Like Stacey Abrams Did? Stacey Abrams is the kind of person so wise and composed that you assume she was born a fully realized adult the moment she exited the womb. In a profile in New York Magazine, Abrams and her sister, Leslie, mostly confirmed this. They spoke to Rebecca Traister about the precociousness of the child who would go on to become a Yale Law School grad, romance novelist, tax attorney, entrepreneur, sci-fi junkie, and now, potential Georgia senate candidate. Though as a kid, according to anecdotes the sisters shared, she sounds frustratingly and impressively sensible. What kind of games did Stacey Abrams play? Role-playing her future career, naturally. Duck Duck Goose is fine, but let girls play President of the World. Who knows, they might hang on to those ambitions, like the Abrams sisters did.